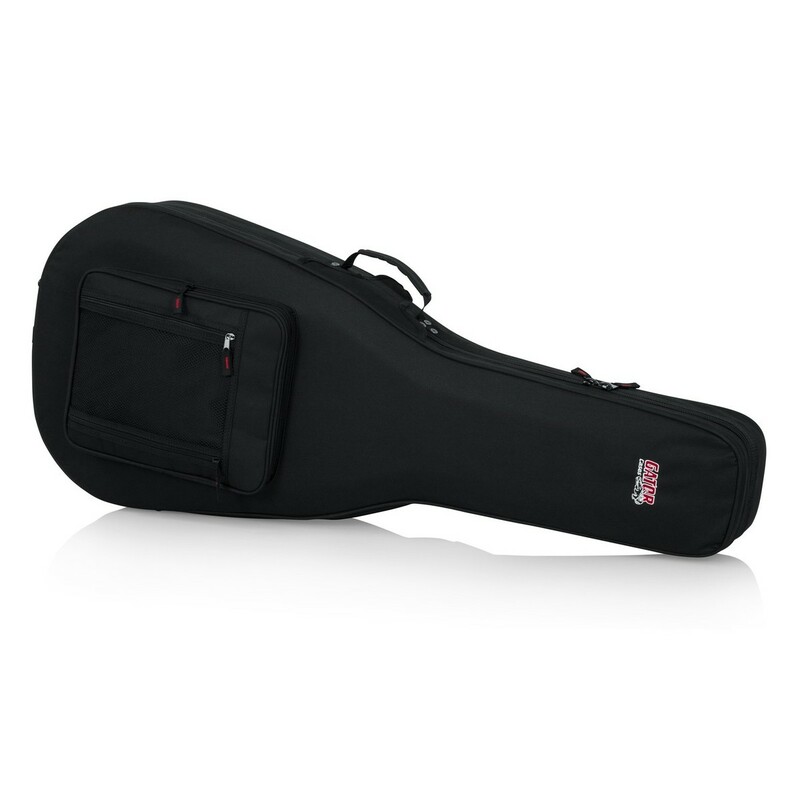 The Gator GL-DREAD-12 Dreadnought Guitar Case features a rugged, water-resistant exterior and a lightweight reinforced, dense EPS foam frame. 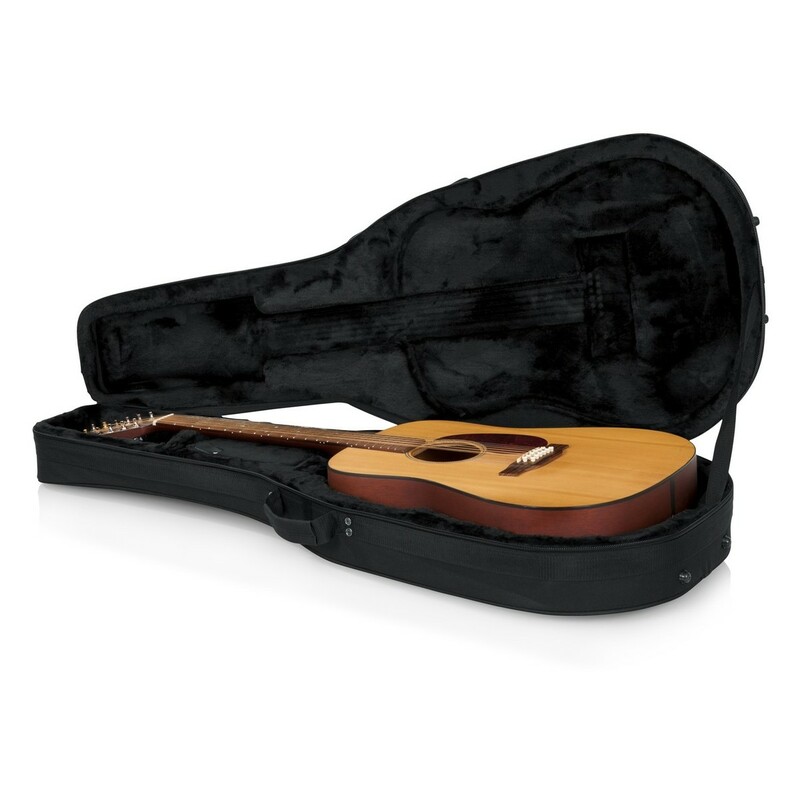 Capable of accommodating most 12-string dreadnought acoustic guitars, the Gator GL-DREAD-12 provides superior protection whilst remaining lightweight and convenient to transport. 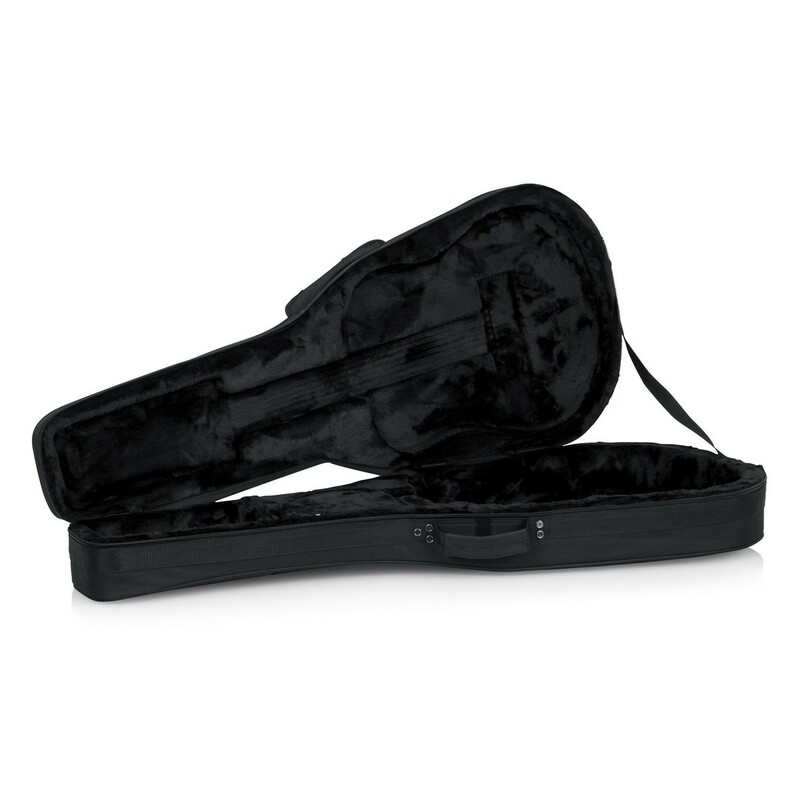 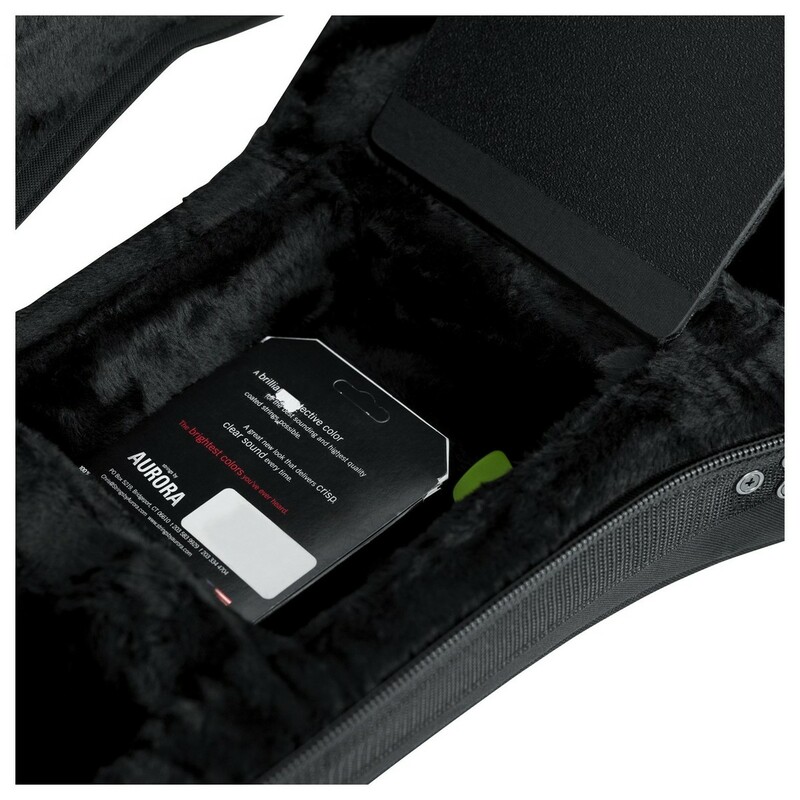 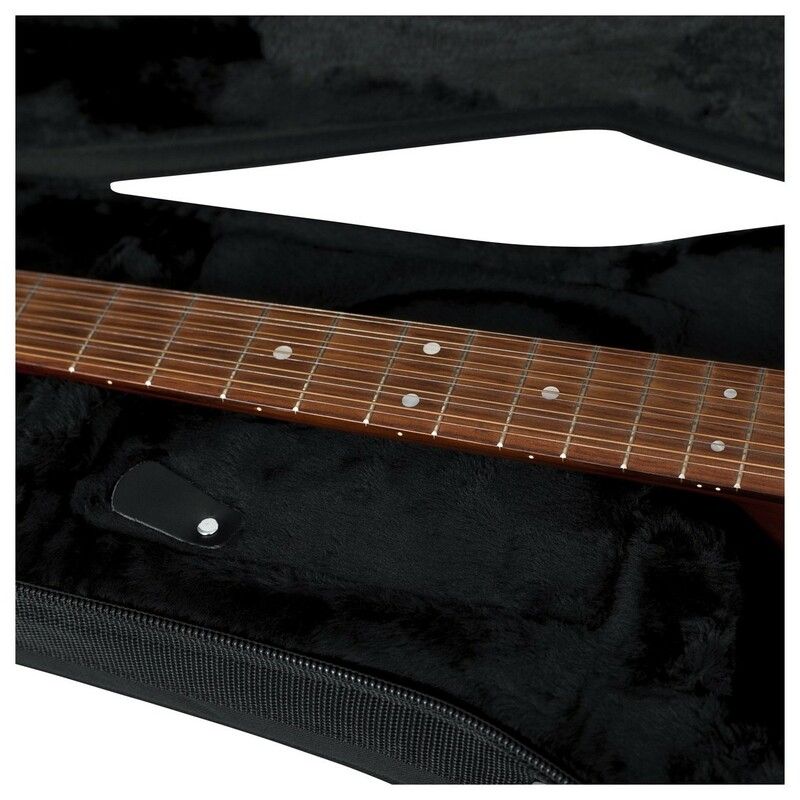 The Gator GL-DREAD-12 guitar case has a plush interior lining which cushions against bumps and prevents cosmetic damage. 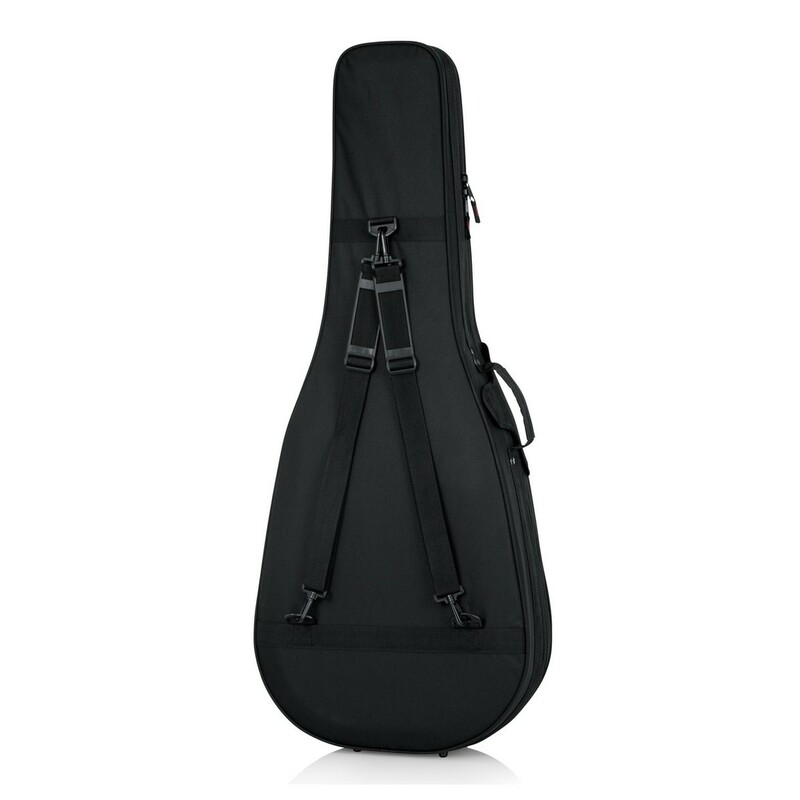 A heavy-duty carry handle and adjustable, removable backpack straps allow you to easily transport your instrument to rehearsals and from gig to gig. 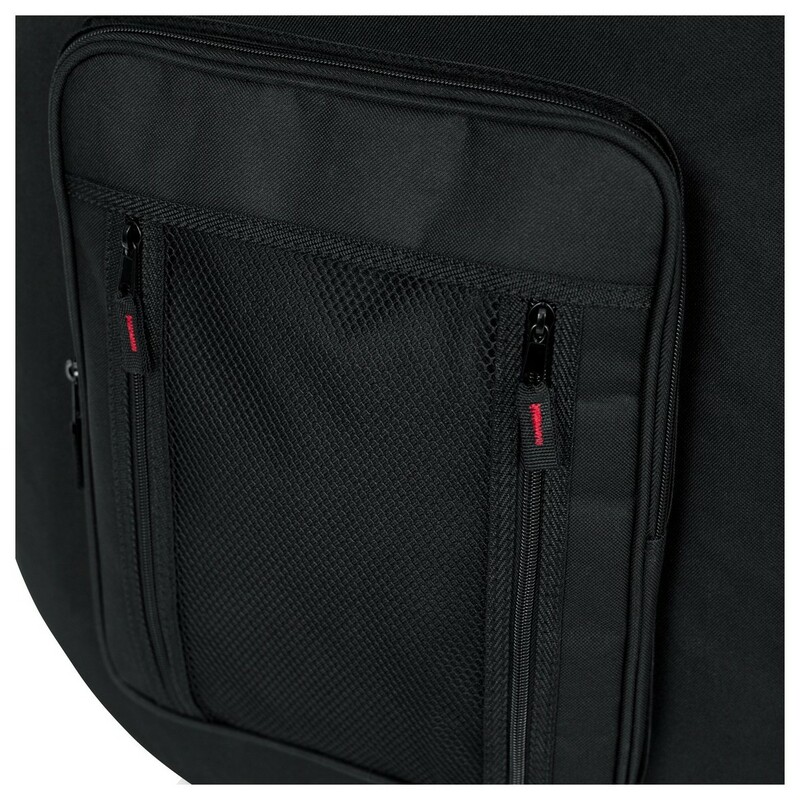 The Gator GL-DREAD-12 case is complete with two spacious storage compartments and a large front pocket. 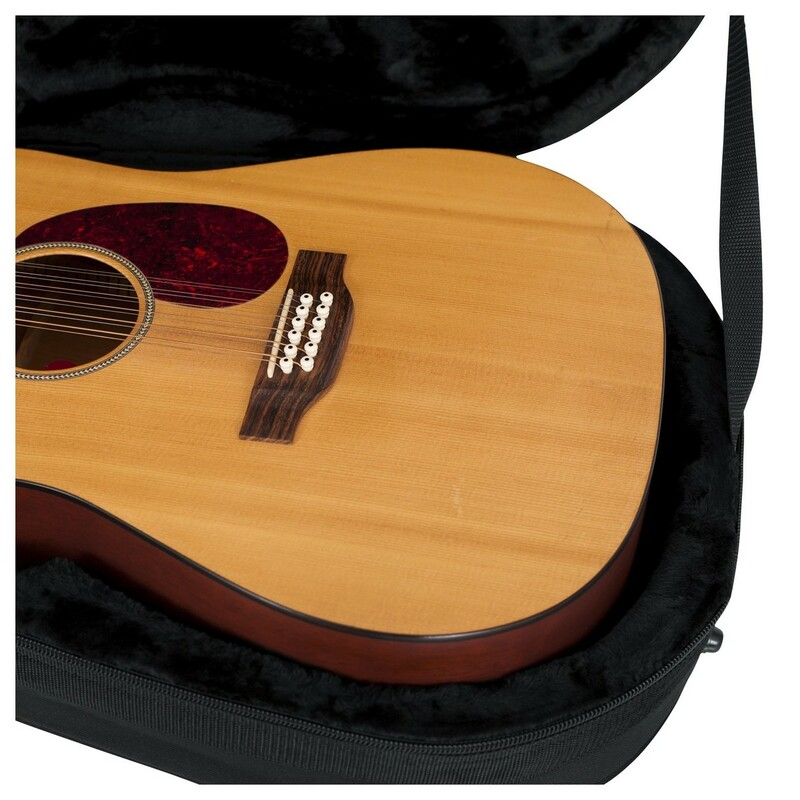 Please Note: The images shown are for display purposes only, and the Gator GL-DREAD-12 Case does not include the guitar(s) shown.